Back to the Basics: Do You Have Budget for This? How many of you have “asked for budget” in your sales process? It’s ok… you’re not alone :). Now you may all know this, or at least that’s what I thought, until I started running into prospects that had this question in their qualification process. So, for those who still don’t believe that this is a bad idea, here’s the issue: What savvy buyer, who you are still building a relationship with, is going to give up their leverage by telling you they have budget? None of them. The exceptions are the people with whom you have a relationship. They are the ones that will give you a hint on how much they have. Your job is to ask enough QUESTIONS to get them to tell you the main puzzle pieces so that you can put together the best budget picture. First and absolutely foremost, the customer will find the money if you make a case for them needing your service/product. Discovery WITHOUT interrogation is the key here and a relationship is important to start asking questions that matter. In other words, when the customer says “By the way, I don’t have budget for this.” they mean “I am not giving up my negotiating advantage”. Again, why would a VERY busy executive spend any time with you if they weren’t interested? 2. Identify the person who has the money and ultimately needs to sign off on the expenditure. There are SO MANY sales methodologies that help you identify the “FOX” or the “ECONOMIC BUYER”, etc. This is dependant on your industry. For us, it’s the CFO. We use Navigator to figure this out along with some other sources and add them to our map. You sound like a pretty senior person (ego), is this something you would sign off on? Have you spent this much on a tool/service before? What are you currently using for XXXX? – takes courage! What are some of the issues? …and then “how much is the renewal?” – takes courage! Does your CFO get involved in these discussions? Who runs the board meetings? Now that you have some of the pieces to create the budget picture, start updating your power map with these details and keep following the path to the MONEY! “I spend a lot of time early-on trying to figure out what the buying process would look like if we were to be chosen as vendor of choice. This can help to save valuable time during the sales process – as well as help to assure that you have the opportunity appropriately staged as you move it through your CRM pipeline. I might ask “If you were to be convinced of the value associated with our product, what would next steps look like? Would procurement be involved? Who runs the legal process? How long does the entire cycle typically take? You’ll be surprised to discover that many prospects (even a fair percentage of those tagged as “economic buyers”) don’t actually know how their company buys software! This is actually a GREAT opportunity for you to take some control of the sales cycle and work with the customer on a jointly developed evaluation/buying plan – with dated milestones that you can hold them accountable to – perhaps in exchange for a promised go-live date or some preferential contract language. Remember….COURAGE is the key to validating HOW someone will pay for your service/tool. Your job is to ask the right questions at the best time and get the puzzle pieces to get the answer. Now…how cool would it be to see HOW STRONG your relationship is and if the DECISION MAKER is a SUPPORTER? 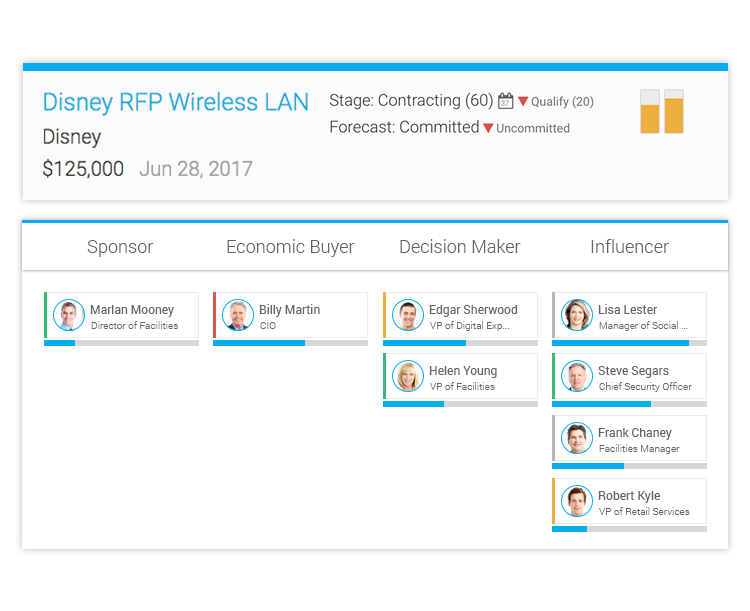 Schedule a demo today to see SalesDirector.ai’s relationship plan in action.